Nick grew up in Bakersfield, California. His family moved to Alaska in 1970, so his dad could pursue opportunities in the oil and gas industry. Nick started his career in 1975, working for a service tool company. 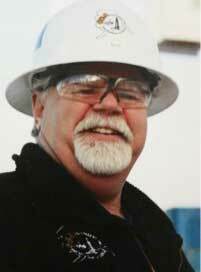 In 1977, he was hired on with SOHIO-BP as a trainee Drilling Foreman. He completed his career with BP in 1997, as a Sr. Drilling Foreman. During that time, he was involved in a large amount of high profile exploratory drilling projects from Pt. Thomson all the way to the NPRA (National Petroleum Reserve of Alaska). Since departing BP, Nick has worked as a drilling consultant for numerous oil and gas operators throughout Alaska from the Cook Inlet to the North Slope. When did you join the HXR team and what is your role? I joined the HXR Team in June of 2015, as the Project/Drilling Manager. Currently I am overseeing the Tolsona Oil & Gas Exploration Gas Well in Glenallen, AK. My favorite part of working for HXR is that I can bring my drilling experience to the development of an exploratory drilling project. I feel working with a small team like HXR provides efficiency to the overall scope of the project. I enjoy spending quality time with my family, especially with my five granddaughters. I travel to Sitka, AK, frequently to visit my family and enjoy fishing and boating when I am there. Also, I am a very avid sports fan, and have been a season ticket holder to the Alaska Aces hockey team for many years.